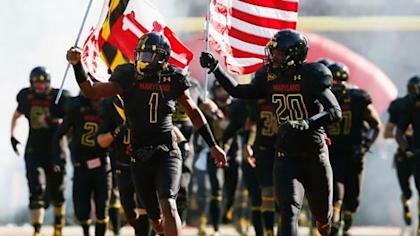 Perhaps it's a testament to the inherent dishonesty of college athletics that so much of the buzz about Big Ten expansion – Maryland on Monday, Rutgers on Tuesday – is about the hunt for the true, secret reason. Among so many athletic administrators this makes little sense to any known paradigm – why add two debt-ridden, poorly run athletic departments with historically blah football programs? Why make the Big Ten worse today than last week? Why dilute rivalries and brand? 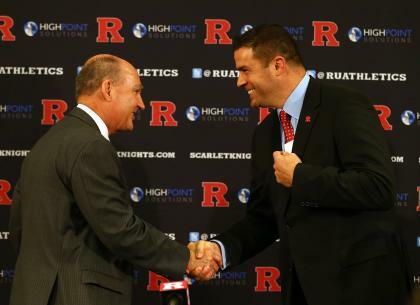 What's the upside, that Rutgers perhaps one day reaches its potential as a good-but-not-great program? All this … for that? Everyone acknowledges the money but then figures this is so unnecessary and counter to commissioner Jim Delany’s conservative nature that there has to be more. So we get that Delany must be mad at Notre Dame. Or Delany wasn't going to let ACC commissioner John Swofford – heretofore the king of bad expansion based on unlikely projections, pie-in-the sky dreams and the fear of being "left behind" – get the Irish as partial members without some retribution. Or Delany is going to retire soon and he wasn't going to let someone else be in charge of the league's legacy moves. The reality is Delany has been very forthcoming about his reasoning, in fact, so forthcoming not many people believe him. "Demographics," the Big Ten commissioner keeps repeating when discussing expansion. And really, demographics it is. This isn't a mocking of Delany. It's a tip of the cap to pure, unadulterated, unapologetic, cutthroat capitalism. And this isn't a mocking of pure, unadulterated, unapologetic, cutthroat capitalism. If you can make a buck, go ahead and make it. At least he isn't lying. This was about money. Oh, and "academics," of course. Obviously the snub by Notre Dame, his longtime dream date, motivated Delany to do something. But in the end there were no good football programs left to go and get. So demographics it was, which means a chance to extend the Big Ten Network and maybe lure some new recruits. In Maryland he found a university willing to walk from its longtime home because Delany could pay off its enormous credit card debt and make it enough money in the future it might be able to go to the pawn shop and buy back the men's tennis program, among other teams, it previously hawked to stay afloat. At Rutgers he found an athletic department running a $25-million-per-year deficit stuck in a weakening league that must have taken his call wondering if it was all a cruel prank, like when high school bullies vote an unpopular kid to the homecoming court. Would we come? Is this a trick question? Delany got his demographics, two states with a combined 14.6 million residents. The hope is Fox, which owns 51 percent of the Big Ten Network, can package enough channels, including Fox News and YES (which it is planning on buying a majority stake in and is home to the New York Yankees) to force the BTN on enough basic cable systems to make tens of millions. Whether anyone watches is irrelevant. Conferences used to chase eyeballs. They still do only now it doesn't matter if the eyeballs are even open. The genius of the Big Ten Network (or any cable channel like it) is it is essentially a Big Ten tax. The passion of the Superfan, who actually may watch, forces providers to make every cable home in a state dole out maybe 50 or 75 cents a month to the conference, whether or not they know a football is inflated or stuffed. Nearly every citizen is essentially taxed for living in a state with a Big Ten athletic department. Big programs like to boast they're self-sufficient and don't use public money that goes to the general university, but this is an end-around that accomplishes the same thing. You don't pay on April 15 via the state. You pay every month via Comcast. It's genius. It's absolutely fabulously genius. So genius the Pac 12 is now trying it, the SEC is going to try it and the University of Texas is trying it all by itself (with few buyers thus far, though). It's genius unless home entertainment goes a la carte one day, but you won't see that concept in the revenue projections. So that's what Delany bought. Competitiveness, excitement, culture, tradition, commonality, rivalries, travel and so on don't matter. The Superfan is hooked forever so they'll pay full price to see Maryland more often and Michigan less. Deal with it. You don't matter. Demographics do. Like Swofford before him, Delany also sold the idea that if expansion wasn't done, then the Big Ten could get left behind somehow. You know, the ACC was outflanking the Big Ten: Pitt as a full member, Notre Dame a partial. Something had to be done! It's a common governmental scare tactic – an undefined boogey man out there that could somehow mean bad things ahead, in this case that Ohio State football isn't Ohio State football anymore. The likelihood of that happening is non-existent, but when has fear not worked in public manipulation? The future of the Buckeyes – and the league in general – has never been at risk. It was already the richest and most stable league in America. To channel some Brady Hoke: This is the Big Ten for God's sake. The ACC could have 48 teams and it wouldn't matter. It would only hurt the ACC actually. Swofford kept expanding so much that Maryland, once a bedrock member, was enticed to leave because it no longer recognized the old place. Meanwhile, most of the new schools don't feel so good either. Remember when Boston College was decent in football and basketball, you know, before it had to go to the ACC or become irrelevant? At least they're still good in hockey, which the ACC doesn't sponsor? To the lesser extent, spreadsheet expansion plays on the "good for recruiting" concept – a nebulous idea in which facilities and budgets and (ahem) athletic director raises will turn your middle-of-the-pack program into LSU, or, worse, if not done will turn you into Akron. A wild play helped Vanderbilt beat SEC rival Tennessee to clinch a winning season. Down 7-6 with 3:19 remaining in the first half, Vanderbilt's Jordan Rodgers took a third-down snap at the Tennessee 11-yard line. Although Commodores receiver Chris Boyd was well-covered by Volunteers defensive back Marsalis Teague, Rodgers threw the ball to the back of the end zone for Boyd to grab. Teague and Boyd each got a hand on the ball, which deflected up before bouncing off the players' entangled arms. Boyd snatched the ball out of the air and looked down to find both feet just inside the field of play. The touchdown put the Commodores ahead 13-7 en route to a 41-18 victory. Vanderbilt moved to 7-4 and 5-3 in the SEC. The loss dropped Tennessee to 4-7 and 0-7 in conference play. The victory marked the first time the Commodores have defeated the Vols since 2005 and only the second time since 1982. But that's never played out either. Sure, it's better to have more resources than less. Since everyone has all the bells and whistles at this point, though, we've long hit the point of diminishing returns. A good coach and in-state talent mean more than fancy weight rooms. And in the end, college football stays the same more than it changes. We're headed toward Notre Dame-Alabama for the title. This might as well be the 1960s. Only the Big 12 seems to be retreating, going old school and claiming it is quite content with 10 schools, where everyone plays one another and, with the exception of West Virginia, it all makes geographic and cultural sense. Time will tell whether they can stay that course and are correct. In the meantime, the Big Ten may not be done. Sixteen schools anyone? If so, Swofford could find his league under assault for the same concept that he sold when so watering down the ACC that in basketball Tobacco Road no longer means anything and in football Florida State could wind up 12-1 and not even merit discussion for a national title. Meaning: The Seminoles were better off as an independent. The commissioners have sold, the media has bought, and thus the public has been inundated with the concept that money is everything. We keep track on annual TV revenue, like it somehow gets you points on the scoreboard or additional fun at a tailgate. Indiana makes more money via TV than Notre Dame even though Notre Dame is on NBC. So what? Notre Dame will become a Protestant school before it switches deals. Besides, no one has ever walked under the Golden Dome and worried that the school wasn't going to be able to afford the electric bill. TV revenue just doesn't matter that much. Unless your paycheck and private plane hours depend on it. For everyone else, like the regular fan that isn't obsessed with regional cable reach, it is fool's gold. In only the rarest of occasions has expansion actually made things better for everyone. But credit Jim Delany on this. This time he really isn't claiming otherwise. He isn't selling the addition of Maryland like he did adding Nebraska. He's straight up admitting why his league just got wider and weaker. There's money to be made and this is college athletics.